The OEM intercoolers in the R32 and R33 GT-R are the same. The mounting, the size, all the same. 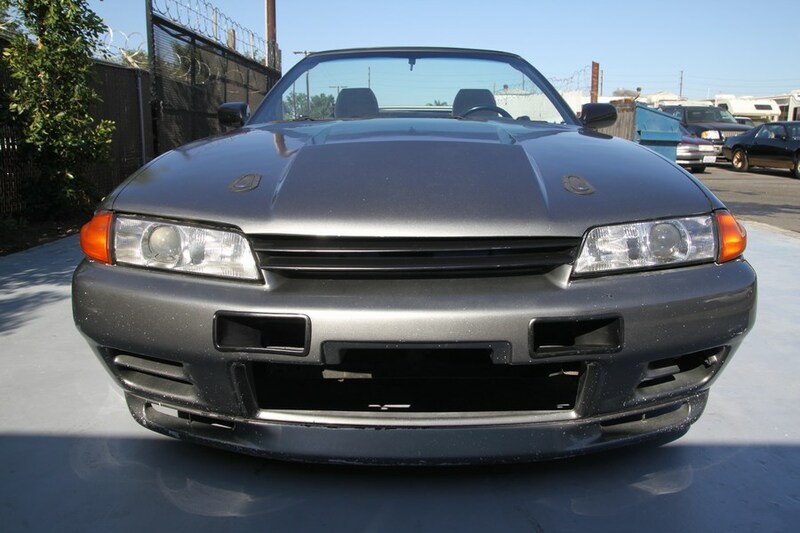 The R34 is a little different as the end tanks are crimped on vs welded on the R32 and R33. 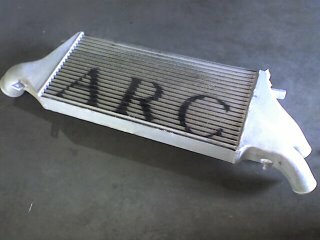 OEM R32/R33 intercooler with the paint stripped off. We like them black. ARE Intercooler Information - tons of great information and pictures. Before we start, remember that almost every motorized component is a compromise to some extent. 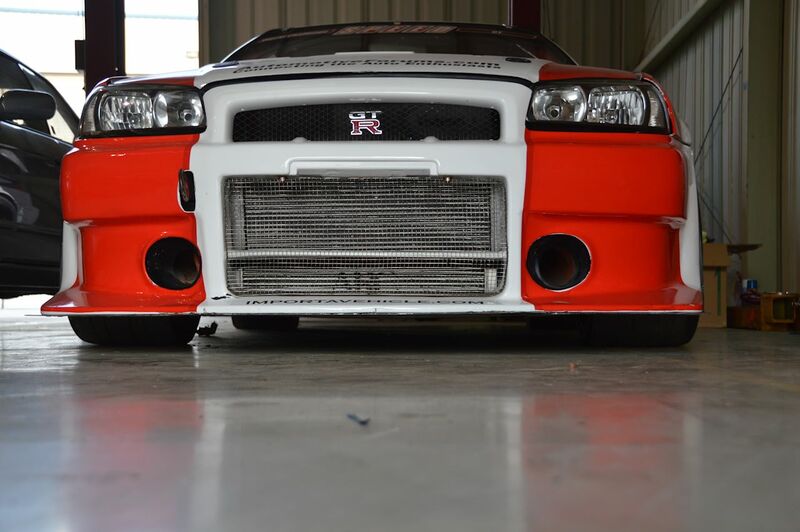 Adding an intercooler to your super/turbocharged engine costs power & throttle response whilst in vacuum & very low boost! Fit an intercooIer to a naturally aspirated engine & see what it does to the power output curve. 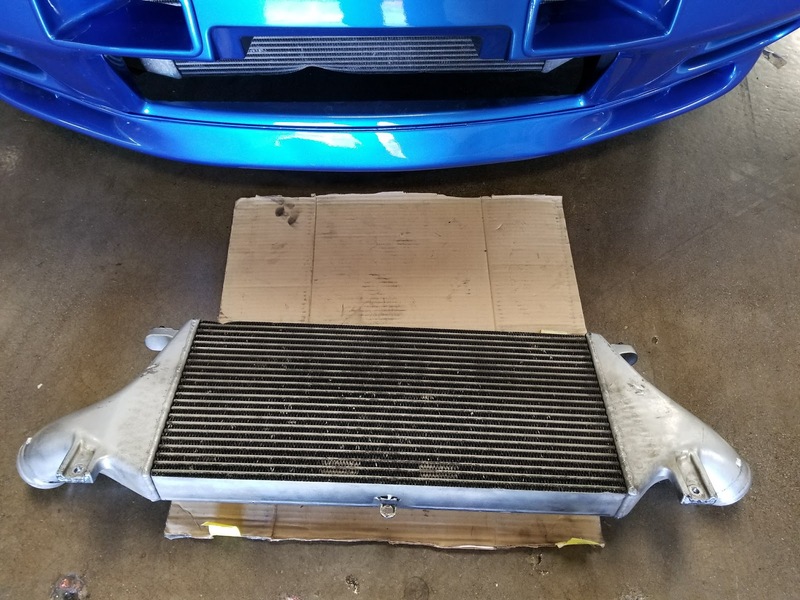 If you ever get a chance to see an ARC intercooler up close, compare it to most of the rest of the intercoolers in the world. There are some very interesting features on them. The bars are wedge shape. Both increasing their surface area, and making them slightly aerodynamic. Then on the backside, the fins extend through the core. They are expensive, hard to find, I have three of them for my cars. Cheaper is always better! Sorry, we just don't do them. They fit like crap, the welds are crap. If you don't know any better then it might be acceptable. Once you have played with properly built parts, you won't cheap out on them.